Adjective. 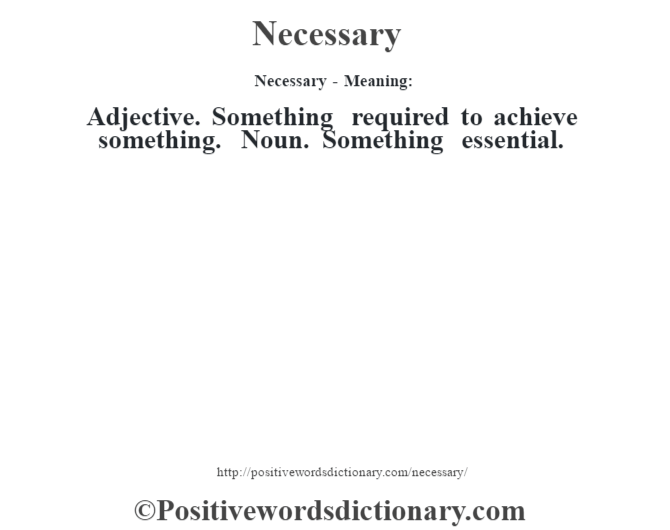 Something required to achieve something. Noun. Something essential.